Nguyen Thi Kim Ngoc, a 19-year-old girl from the Mekong Delta province of Tien Giang, was crowned Miss Sea Vietnam Global 2018 in the finale of the beauty pageant held in the island district of Phu Quoc (Kien Giang province) on April 21. 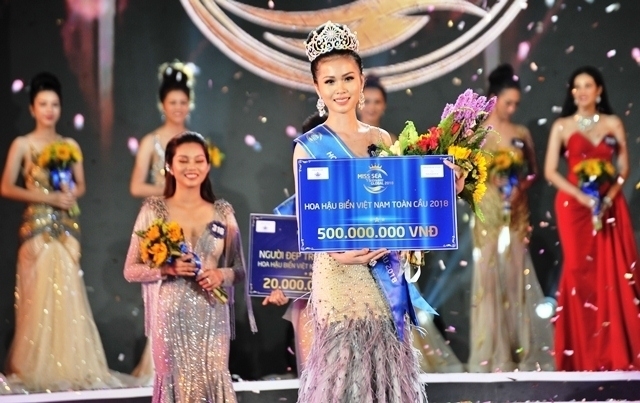 Ngoc overcame 37 other candidates to claim the top prize, including a crown worth VND1.7 billion (US$74,545) and a cash bonus of VND500 million (over US$21,900). The newly crowned Miss Beauty is 1.71 metres tall, weighs 52kg, and has bust-waist-hip measurements of 83cm-59cm-91cm. Nguyen Ngoc Huyen and Nguyen Phuong Khanh were awarded the first and second runner-up titles, with respective cash prizes of VND300 million (US$13,150) and VND200 million (US$8,770). 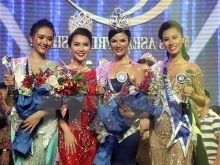 The contestants showed off their talents in Ao dai (Vietnamese traditional dress), bikini, and party dress contests to decide the top five pageant beauties, who were Nguyen Thi Kim Ngoc, Pham Ngo Bao Ngoc, Nguyen Ngoc Huyen, Nguyen Phuong Khanh, and Lam Thi Thu Hong. 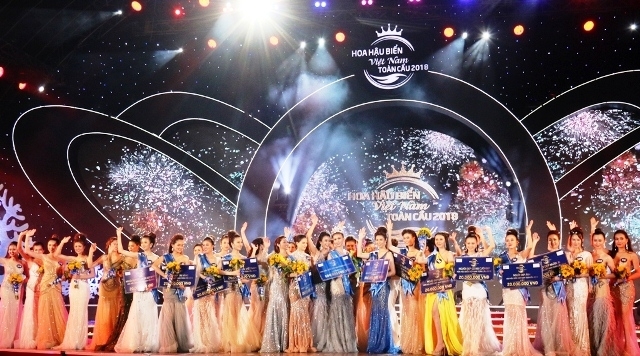 During the final night, the organising board also presented sub-awards such as the Miss Skin, Miss Smile, Miss Media, Miss Talent, Miss Humanity, Miss Ao Dai, Miss Body, Miss Party Dress, and Miss Photo.